This year’s edition of the SwissSkills in the nation’s capital Berne was a great success all around: more than 115,000 visitors, an impressive national media presence including live coverage by the Swiss Television SRF on the last competition day and a total of 900 competitors across 78 professions, making it the biggest show of its kind worldwide. The event is sponsored by the Swiss Confederation, the City of Berne along with companies from the private sector such as UBS, Migros and Mobiliar. Another major contributor: iRewind with its video cloud software for personalized videos. Video as a communication tool was a central component of SwissSkills’ communication strategy. In addition to the classic video coverage from the event itself, the organizers also utilized iRewind’s personalized video technology as part of the victory ceremony – a very emotional moment for all finalists. They were personally honoured in the sold out PostFinance Arena and received congratulations from the Federal Councillor himself. The final video was further upgraded by the integration of DJ Antoine’s official SwissSkills 2018 anthem. A total of 234 videos were produced and the aim was to ensure that the message reached the recipients at the highest emotional moment, immediately after the victory ceremony. The result: the newsletter recorded an impressive opening rate of 226% and a social media engagement rate of 359%. 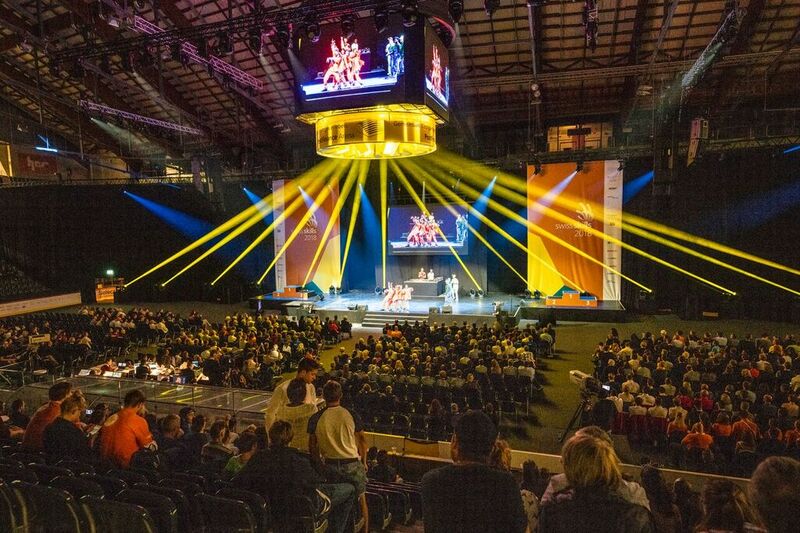 In addition, each video was downloaded 2.1x on average, which suggests that it was further distributed via native uploads on Facebook, Instagram and Twitter, providing a huge digital boost to the event and great visibility for its partners. Thanks to the video component, SwissSkills managed to address the target groups personally by capturing a truly unique and very emotional moment. In addition, they were able to provide an attractive digital souvenir to the participants and place their partners and sponsors in a positive environment. 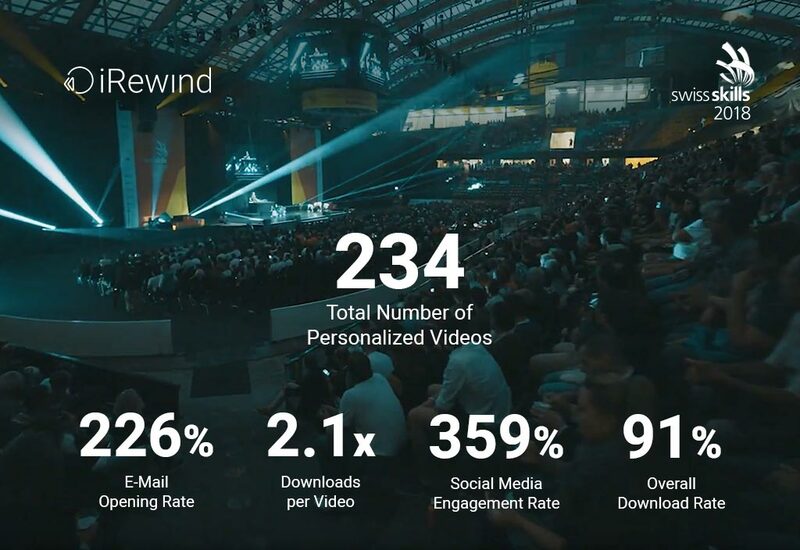 For the latter, the videos helped measure the impact of their sponsoring engagement by delivering live updates on the performance of each video. The combination of being related to a feel good moment and seeing the positive effects of social sharing definitely hit home.